My husband has postnatal depression, following the birth of our daughter. Is there much help for fathers with postnatal depression, and is his condition likely to affect our children? 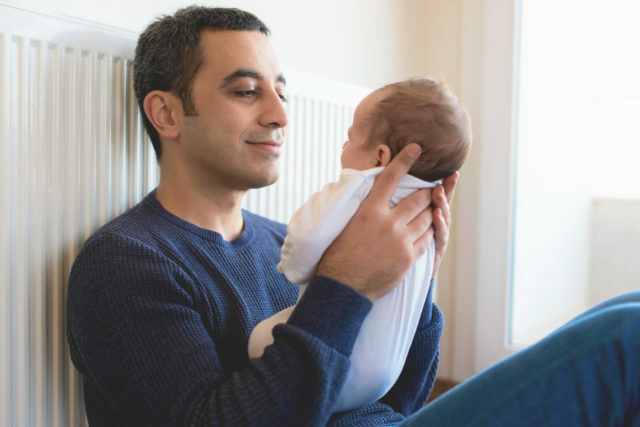 Professor Paul Ramchandani from the University of Cambridge’s Faculty of Education recently co-authored a study, which found that a significant number of new fathers experience depression in the weeks following their child’s birth. He says: “It is only in the last few years that there’s been a recognition that dads can also experience depression in the period around the birth of a child, just as at other times in life. “Between one in 10 and one in 20 men are affected, with symptoms including low mood, loss of energy and lack of enjoyment of activities. The effects on sleep and concentration can make it difficult to manage all the challenges of being a parent to a new baby, and so it’s important that families can get help when one or both parents are struggling in this way. “There are fewer services available to men than women around the time of the birth, but this is slowly beginning to change. Men can approach their GP for help, and there are psychological services available that people can refer themselves to – they have different names in different places, but are collectively known as IAPT (Improving Access to Psychology Therapies). “As well as these options, men can talk to their health visitor. There are a range of approaches that can help, but treatment will often include talking therapy and occasionally medication. “Depression in mums or dads can affect the rest of the family, as any illness or problem can. In the research we’ve recently completed, we found daughters were at a small increased risk of depression when they grew up, if their father had depression in the postnatal period. “It’s worth stressing that most children who have a parent who’s had depression will grow up healthy and happy and not experience depression themselves, but the risk is slightly raised when their mum or dad has had depression. This is due to a mix of reasons, probably partly genetic, but also in part because depression can affect how a family manages. It also works the other way, as when there are challenges in a family, like illness or financial problems, parents become more likely to get depression.